They say you should never assume anything, because you’ll more than likely be wrong. Usually, when I review a book that someone has sent into us, I like to “go in cold” not knowing anything about it so that I don’t set any expectations of how it’s going to turn out. This time, however, I made the mistake of reading a few descriptions of the book and its central character and this must have sparked enough ideas in my mind to give me subconscious pre-conceptions. I read phrases like “cursed”, “occult”, “cult”, “witch” and “supernatural” which, together with the genre of horror-thriller and a hunt for a mystical object said to be able to grant the power of immortality, threw me in all the wrong direction, so much so that I was a third of the way through the book, and really struggling with it, before I realised my error. This was not, and was never meant to be, the epic high-fantasy swords and sorcery that my brain had told me it was going to be. So I cut my losses and went right back to start it all over again. And what a great story it turned out to be! 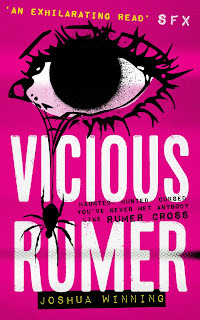 Rumer is the child of the, now long dead, notorious gangland hit-woman Celine Cross, known as “The witch assassin”. Abandoned by her mother at birth, she believes that she has been cursed to be forever alone, to never to have a proper relationship with anybody because those she gets close to, foster mother, school friends, keep dying. Messed around by the system, and her own mind, and now 19, Rumer lives in a dive of a flat and works for an equally dingy private detective in London, using the skills she developed on the streets to be able to blend into the background and discover incriminating information. So far, so normal. Well as normal as it gets. Only, at the start of the book, she is violently laying into someone who has been tied to a chair. With a hammer. Nice! As the story goes on we get several “before the hammer” flashbacks to discover Rumer’s backstory and how she got herself into that situation before we find out what happens next – a gang kingpin wants the mythical Crook Spear and, for some reason, believes she knows where it is and will stop at nothing to get it. Will she find the Spear, will she get out of this with her life and, to be honest, does she really want to? And who is it that keeps following her? 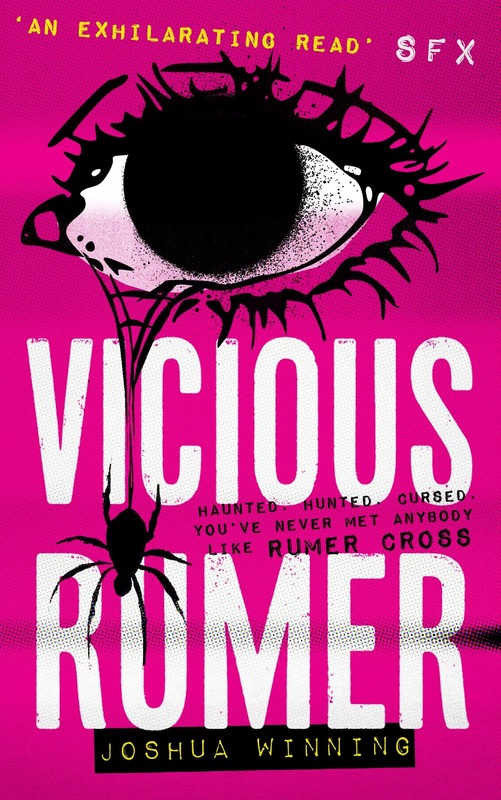 With the book being written in the first person we get to experience everything from Rumer’s point of view and really connect with her as a character, her initial emotional detachment and later mental turmoil come across strongly because we get to see the logic in her thought processes and conclusions, although, for me, it is still a very visual, rather than visceral, book. I also really enjoyed the unhinged flamboyance of the gangland kingpin who made a superbly psychotic bad guy. But just because this is a character heavy story doesn’t mean that it is lacking in action as it really lives up to its thriller label. There are loads of twists and turns, good guys who may be bad guys, bad guys who may be good guys, so that we, like Rumer, get to the stage of trusting nothing and nobody (well, almost nobody) and her curse seems to get fulfilled over and over again making the ending, when it comes, a satisfying one. I wouldn’t say it was a horror book, however, even though there is a lot of gore, violence and messy stuff, the fear is more suspense than terror and I didn’t find it very nightmarish or psychologically disturbing but that’s no bad thing. The only thing that didn’t really work for me, and it’s a minor quibble, is the setting. Although the book says it’s based in and around London, the characters and locations felt so much more Upstate New York than typical British suburbs. However, that could well be because I’m so used to watching American shows that my mind automatically drew those mental images. And it’s because of that imagery, the brilliant characters and the clever and adventurous story that I can really see this working on screen as a film or, more likely, a story-arcing TV series based around the central characters. Get to it production people, you heard it here first.